Keeping close! Jamie Foxx and girlfriend Katie Holmes strolled hand-in-hand in Los Angeles during a date night on Tuesday, April 9. Holmes, 40, sported a tan jacket, cropped jeans and flats for the outing, while the Robin Hood star, 51, laid low in a white long sleeve shirt and sneakers that he paired with dark workout pants. 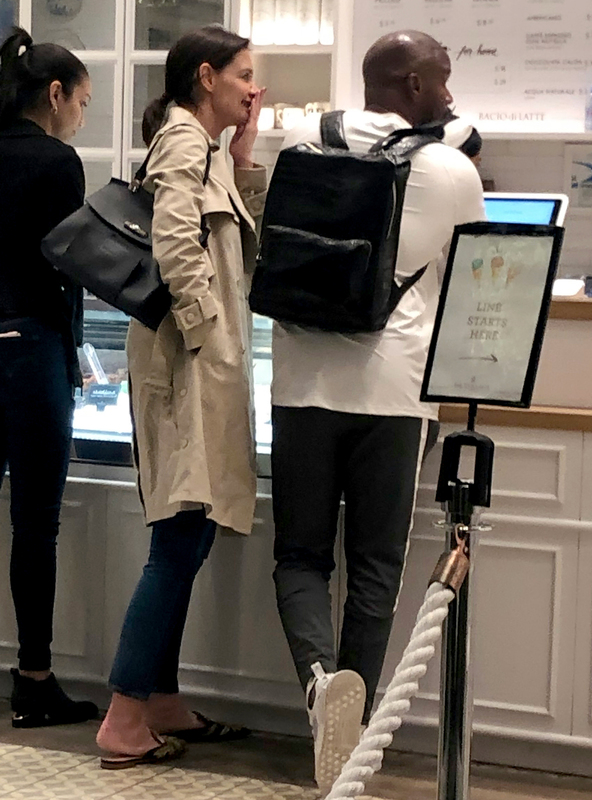 The two appeared to be in good spirits as they opted for dinner, a movie and an ice cream outing at Bacio di Latte in which Foxx’s 25-year-old daughter, Corrine, joined them. Though the couple is still very much together despite Foxx sparking split speculation in February when he announced he was “single” at an event, the notoriously private pair are going to remain mum on their romance. A source explained to Us in January that Holmes is “infatuated” with Foxx, though he isn’t interested in settling down. “Jamie does care for her, but his recent behavior makes people question that,” the insider added. Prior to their relationship, Holmes was married to Tom Cruise, with whom she shares 12-year-old daughter Suri. Foxx is also father of 10-year-old daughter Annalise with ex-girlfriend Kristin Grannis.